Perfect whipped cream recipe is one of those essential recipes you need. This recipe gives all the steps on how to make perfect whipped cream every time. It’s delicious atop fresh fruit and desserts! I can’t even begin to tell you how many times a year I make whipped cream. It is really one of those recipes that I turn to time and again and could practically make with my eyes closed. 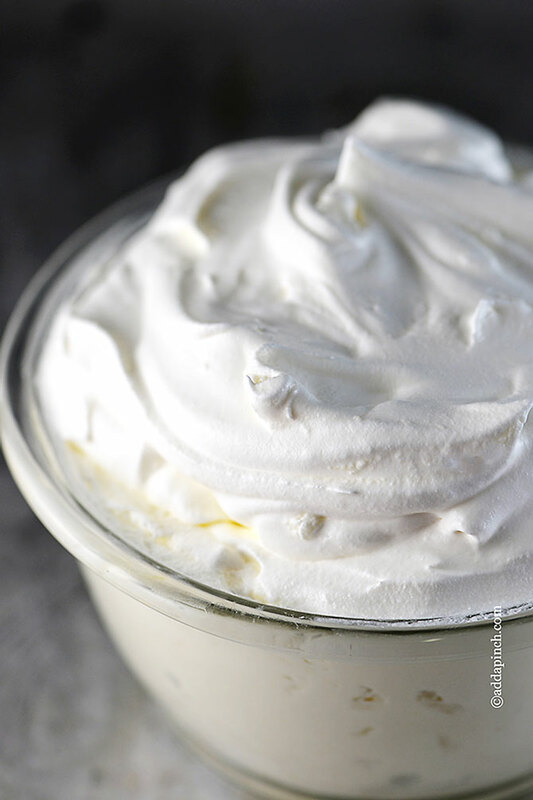 A basic recipe, it only takes a few minutes and three ingredients to make and yet there is one essential step for getting the perfect whipped cream recipe every single time. That’s it. That’s the trick. You begin by putting your mixing bowl and whisk, (yes, even those to your electric mixer) in the freezer for about 20 minutes to get as cold as possible. You’ll also want to make sure that your heavy whipping cream is as cold as possible, too. Then, you pour all of your ingredients into your super chilled mixing bowl and whisk together on high speed for about a minute until stiff peaks form. And, you are done! No fussing about with it, no testing. You’re done! 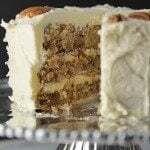 If you’d like to add another flavor to your recipe, you can switch it out with the vanilla extract, taste it and add a bit more if you think it is needed. Coconut rum and bourbon immediately come to mind as substitutes that people frequently use as well. 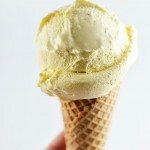 You can also use honey or maple syrup in place of the sugar which also adds their own flavor where you may decide that you don’t need to add anything else to your whipped cream. Believe me, it tastes out of this world with both of those exchanges. If you do add more liquid to the recipe, you may need to whip your whipped cream a bit longer than one minute to reach the stiff peak stage. However, take care to not over beat your whipped cream as it can quickly become butter. To stabilize your homemade whipped cream, you will want to use an additional ingredient to help it last longer in the refrigerator. I like to use cream of tartar if I know that I will be making mine well in advance of serving. 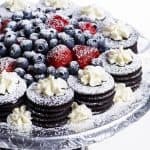 While fresh whipped cream is best served immediately, by adding a little cream of tartar to your heavy whipping cream, it will generally last much longer in the refrigerator. 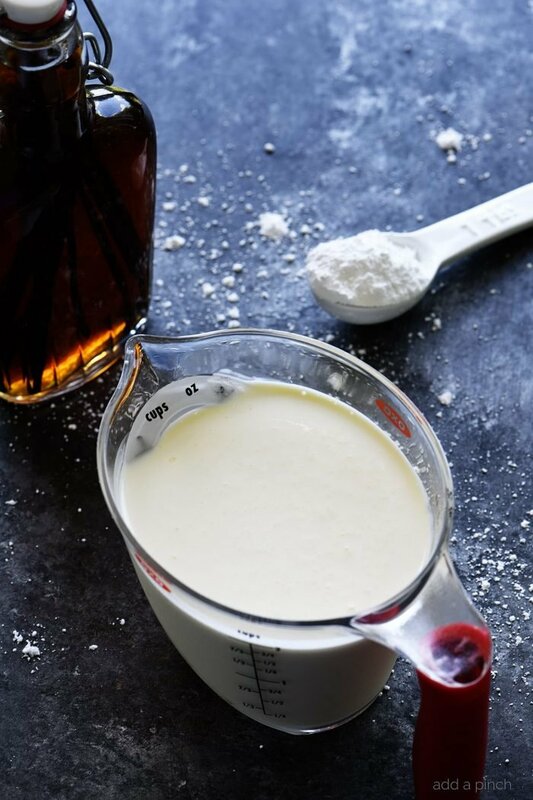 For each cup of heavy whipping cream, add 1/4 teaspoon of cream of tartar along with the confectioner’s sugar when whipping. Here’s my Perfect Whipped Cream recipe. I hope you love it! 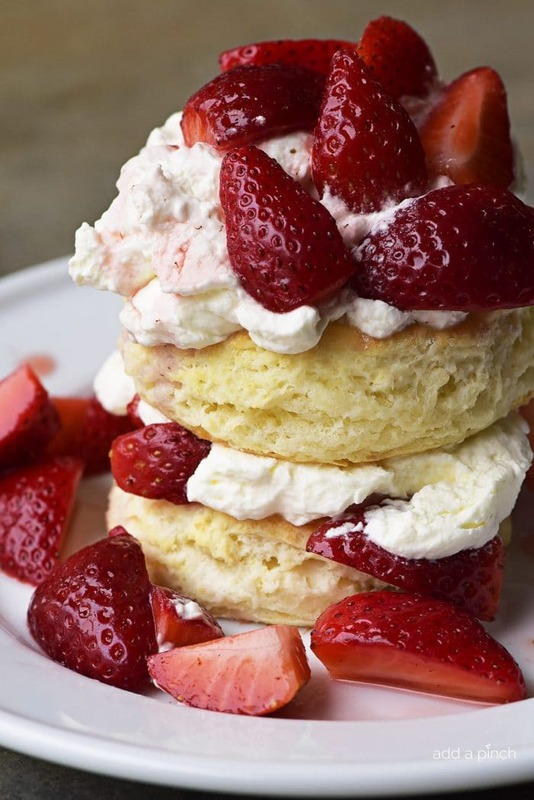 It’s a great topping on fresh fruit, desserts (think strawberry shortcakes!) and so much more! Perfect whipped cream recipe is one of those essential recipes you need. This recipe gives all the steps you need to make perfect whipped cream every time. 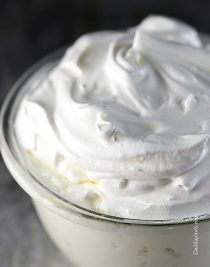 For stabilized whipped cream that will hold longer in the refrigerator, add 1/4 teaspoon of cream of tartar to your fresh whipping cream along with the confectioner's sugar. Named correctly…..it came out perfect. Wonderful to hear, Conrad! Isn’t it just delicious?! Thanks! It was great! I tried it with sugar and a little bit of honey and boy was it delicious! Can you make ahead of time to use the next day, or is it one of those things that has to be made at the time? Thanks! This recipe is best made just prior to serving for the best results. I hope you enjoy it! Can you use substitute if no heavy cream on hand? I have not used a substitute for it to make my whipped cream, Nancy. Thanks! i had to beat it much longer: maybe 4-5 mins, but perhaps because my mixer is old? In any case, well worth the time and soooo delicious w/ maple syrup – thanks for the recipe!! What type of sugar do you recommend? That photo looks like powdered sugar? I do like to use powdered sugar, Rachael. Thanks! your directions do not say to use confections sugar but your picture looks like it is. please clarify. I do use powdered sugar, so you certainly can use it. Thanks! My kids absolutely loved it..
I’ve not frozen it before – I find that this is best made and enjoyed fresh. Hope you enjoy it! Thanks! I’ve not tried that in my whipped cream before. Thanks for sharing your tip. If you want to make whipped cream that keeps a couple days what do you put in your whipped cream to keep it stable? I have heard of a few different things…. use whipped cream stabilizer (which is basically corn starch) either specifically formulated for cream or a box or corn starch works just as well. Fantastic, simple recipe! Used an electric beater for about 4 minutes. Thanks for sharing 🙂 Happy Holidays everyone! So glad you liked it, Bill! 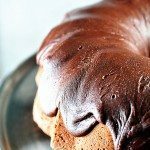 Very similar recipe to others posted. This one mentioned Vanilla (which I love), so I used this recipe. I doubled it, and it worked like a champ. The vanilla makes it, in my opinion. Making it ahead of dinner by about 3 hours, so I’m hoping it doesn’t “melt”. I adore the flavor of vanilla in whipped cream. I’m with you – it makes all the difference! Great recipe. Just served it on top of Tres Leches Cake. Added a couple tablespoons of Corn Starch to help it stay stable longer. Used this recipe, substituted some cinnamon extract in and light ground cinnamon dusting for some pumpkin pie topping! Oh that sounds delicious, Ed! I bet it tasted incredible! 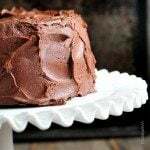 Loved it – I hadn’t made homemade whipping cream for 40 years and this is so simple and far surpasses the taste of the stuff that comes in the can! I made it to top off our chocolate cream pie martinis. Super delicious! So glad you enjoyed it, SJ! Thanks! I make it for my coffee, and top off pies, is perfect! Simple and perfect. exactly what i needed for another recipe! It took exactly 2 minutes and i doubled the recipe. It’s perfect! I used icing sugar for mine. Does this work well used in a trifle the day before it’s to be served? I’m a little late but I wanted to say thank you so very much for sharing your recipe with us. The night before Thanksgiving I realized I didn’t have want cool whip for my Butterfinger cake so I went to the only 2 stores in my town and naturally they were out. So I started looking up recipes and found yours. It was Heaven sent let me tell you. Everyone bragged on my cake and of course I had to tell everyone it was the homemade whipped cream. It made all the difference. So thank you again from me and my family. I added a little Christmas spin on this excellent recipe… I put some candy canes in a processer and folded the powdered canes into the finished product. Then dollop a little bit at a time onto parchment paper on a cookie sheet and sprinkle some crushed candy canes on each and then freeze the tray. Add a frozen dollop to a cup of hot chocolate and you have an instant hit with young and old alike. Thank you for the recipe! I figured I would add my two cents here since I just made this recipe and I think I can answer some questions I see. I used granulated sugar and it worked just fine! However I did add a tiny bit more to factor in that powdered sugar obviously will fit more on the spoon than the granulated. I did try with the original amount suggested and it just needed that extra little bit. I recommend adding the sugar and mixing it as directed and then taste test it while slowly adding more until you get it where you want it. For me, I found that double the amount worked best with granulated sugar. And I see people saying that it took them a while to mix it. Same for me. I have a brand new stainless steel Kitchen Aid mixer and it took me closer to ten minutes to mix on high. So to those who get it mixed and thick within 2 minutes, I applaud you! (Ha) Lastely, a few people asked if this can be frozen. It can. I had no choice but to freeze mine because I made it before reading that it should be used immediately. Oops. I made it the night before I needed it. Anyway it’s fine. Pretty much any cream concoctions will freeze just fine. Hense, ice cream and store bought frozen whipped creams. Hope I helped. Hi, I was just wondering if you can make the whipped cream with whipping cream 35% fat because I only have that in my fridge and I can’t seem to find it in nearby grocery stores! How much of the ingredients would you use if you were just icing one cupcake? I do not have a mixer and tried whipping it by hand. I put the bowl and whisk in the freezer for an hour prior to mixing. I whisked it for 5 minutes – no change, and I could feel the bowl warming up. I put it all back into the freezer for a half an hour, and whisked for another 5 minutes. Still nothing. I guess I have creamer for my coffee, but no homemade whipped cream for my dessert. I guess you need an electric mixer. Really!!!!!!!!!!!! That’s a shame. I was going to try the recipe but I do not have an electric mixer. Thx for saving me time. I whipped it by hand and only chilled the bowl in the freezer for 20 minutes because I am impatient. It did take longer than 2 minutes and my arm definitely got a very good workout, but it still worked. After a few minutes with very little change, I started “speed” whipping it like a mad woman- trying to immulate an electric mixer. After about 10-15 minutes of intense whipping and (and a little bit of sweat! ), I was left with the most delicious whipped cream ever! Plus, that was my very first time ever making my own and let me tell you, I am never buying the store made kind again! So good! I like to make my whipped cream as close to serving as possible, but I will say that if you wrap it will store well in the refrigerator before serving. It may lose a bit of the initial volume. But, I have included information on adding cream of tartar so that you have a more stabilized whipped cream. 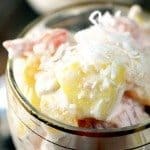 Can you use corn syrup in the whipped cream ? SOOOOO Delicious. I just used granulated sugar. I used it to top my cake and I loved it. Hi,can you please mention the measurement for the sugar and heavy cream. Can you double the batch and still get the same consistency? Thanks!